From the Journey Collection, this classic comfort fit bangle has 7 brilliant cut diamonds and 7 sapphires set in 14K white gold. The stone sizes gradually goes from smallest to largest for a more comfortable fit. 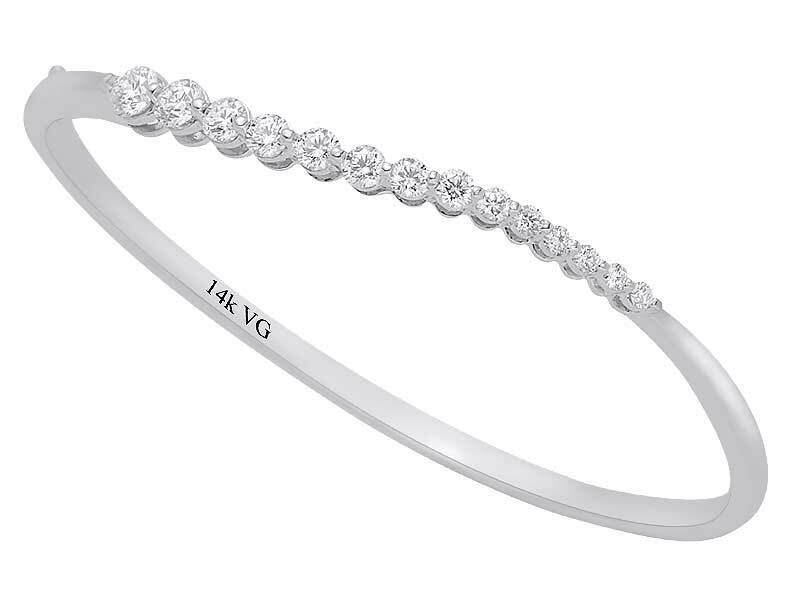 This bangle is available in Platinum, 14 or 18 karat white gold and in all sizes. Side stones carat weight: 1.10ct.